It was July 1976 and Tom Maniatis—long-haired and Birkenstocked—stood on the balcony of the Cambridge City Hall watching protesters who were calling for a ban on all research involving recombinant DNA. Ironically, the ensuing moratorium—which tied the hands of Cambridge-based molecular biologists—liberated Maniatis, who had just been appointed as an assistant professor at Harvard. “I never moved into the lab,” he recalls. Instead, he fled to Cold Spring Harbor Laboratory (CSHL) on Long Island, where director James Watson had offered him refuge and, more importantly, a lab bench. It was there Maniatis began in earnest his career-long quest to develop technologies that would allow him to study how genes are switched on and off in cells. Working at the forefront of molecular biology, Maniatis has perfected protocols for identifying and isolating genes and has used this methodology to decipher how different genes are activated in response to the environment. Maniatis continued to explore the relationship of DNA structure and gene expression as a postdoctoral fellow in the laboratory of Mark Ptashne at Harvard. Ptashne was studying the biology of bacteriophage lambda, a virus that infects microbes such as E. coli. Drawn by the elegance of the system, Maniatis began dissecting the DNA segments that govern lambda’s infectious lifestyle. Working in Fred Sanger’s lab in Cambridge, England, he managed to determine the nucleotide sequence of one of lambda’s regulatory elements—quite a feat, considering that the standard procedures for DNA sequencing had not yet been developed. Around that time, Maniatis started collaborating with Argiris Efstratiadis, a graduate student in Fotis Kafatos’ Harvard lab. Efstratiadis was interested in establishing methods for cloning mammalian genes. One approach to cloning involves making a copy of the mRNA transcript produced from the gene of interest. While Tom Maniatis was at Caltech, James Watson invited him to return to CSHL to teach a summer course on cloning. With the help of his postdoc Ed Fritsch, Maniatis gathered all the necessary protocols and presented a pretty standard course: days filled with intensive lab work; nights filled with bad jokes, pizza, and beer. At the end of the summer, Watson suggested collecting the materials into a lab manual. “I was terribly reluctant,” says Maniatis. “It was just one more thing to do.” But Watson was insistent and recruited Joe Sambrook to help organize and write the manual. Because the authors all had hands-on experience developing and using the protocols in the book, they provided in-depth discussions of the biology underlying the techniques. These descriptions enabled readers to troubleshoot their experiments and made the protocols accessible to a broader audience—researchers who weren’t your typical gene jocks. The book became the bible of cloning and was reprinted in several languages. “Every lab desk in China has one of these things on it,” says Maniatis. And he attributes the success to Watson’s intuition. “While the rest of us have our noses to the grindstone, Jim is able to stand back and see the bigger picture.” So anyone who has turned to Molecular Cloning for help muscling through a Northern blot ultimately has Watson to thank. Genes encode proteins and when a gene is activated, it directs the manufacture of an mRNA transcript that contains all the information needed to make the protein. To clone a gene, one needed to make a complete copy of that transcript, called a cDNA clone. The young researchers chose to go after the rabbit globin genes. Because hemoglobin is plentiful in red blood cells, they figured, the corresponding mRNA transcripts should also be abundant and thus easier to isolate. That’s when the moratorium hit Cambridge—an event that might have actually helped Maniatis. If he had stayed at Harvard, he would have been sidetracked by teaching and administrative responsibilities. At CSHL, however, Maniatis was free to concentrate on the lab work. “It was the perfect place for the mezzanine stage of my career,” he says. The accommodations at CSHL were by no means opulent. His laboratory was once a kitchen. “And there were five of us in there. It was pretty crowded,” Maniatis says. Nevertheless, he and his coworkers succeeded in producing the first full-length cDNA clone of a mammalian gene. Soon after, Maniatis was approached with an offer by the California Institute of Technology in Pasadena. Although he was itching to break free of the cramped quarters at CSHL, “I was reluctant to go,” he says. “But then I woke up one morning and saw in the New York Times that the moratorium in Cambridge had been extended.” A month later, he headed west. 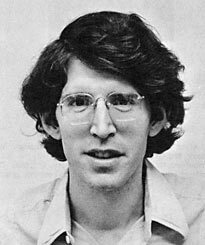 His time at Caltech (from 1977 to 1981) was probably the most productive in his career. There Maniatis and his group developed an armamentarium of cloning methods, including procedures for constructing “genomic” DNA libraries that represent all of the genes in an organism, isolating genes, and introducing genes into cultured cells, which allowed researchers to study their activity and regulation. Eventually he compiled these protocols into a laboratory manual that has been used all over the world (see sidebar). When the moratorium was lifted a few years later, Maniatis returned to Harvard—where he is now Thomas H. Lee Professor of Molecular and Cellular Biology—to study how gene activation is controlled in different cell types. Why, for example, do red blood cells produce hemoglobin while others do not? He and his colleagues worked out the structure of the globin gene regulatory elements “nucleotide by nucleotide,” he says, but the information brought them no closer to understanding how cells regulate gene expression. The globin studies did, however, lead Maniatis and his colleagues to a deeper understanding of how mRNA transcripts get spliced before they can direct the production of a protein. Many of the mutations that cause a type of anemia called thalassemia, they discovered, precipitate disease by disrupting RNA splicing. In the meantime, Maniatis continued to hunt for a simpler system for studying gene regulation—a quest that drew him to interferon. When a virus infects a white blood cell, the invaded cell spits out interferon. The molecule warns neighboring cells of the infection and helps them to resist the virus. Maniatis and his colleagues set their sights on unraveling how the interferon gene is switched on when viruses attack cells. Over the years, they have identified the molecular switches that are tripped in response to viral infection, and they’ve characterized the behavior of these players in great detail. Several of the regulatory proteins, they found, assemble into a large complex that can change the structure of DNA—the problem that Maniatis first addressed as a graduate student. They also discovered that the cellular machinery previously believed to act as a garbage disposal for removing misshapen or defective proteins plays a key role in activating a protein in the interferon regulatory complex. “We went from knowing almost nothing to having this amazingly detailed picture of what happens when a cell receives the signal,” he says. Recently Maniatis moved into studies of neuroscience. Five years ago, his sister died of amyotrophic lateral sclerosis (ALS). “There’s no treatment, no cure. And the mechanism is not understood at all,” he says. Because so few cases are hereditary, finding the gene will be difficult. Instead, Maniatis hopes that stem cells might provide some answers. In collaboration with Doug Melton, Thomas Dudley Cabot Professor in the Natural Sciences in MCB and Co-Director, Harvard Stem Cell Institute, he plans to produce stem cells using nuclei taken from ALS patients. The researchers will then encourage these stem cells to develop into motor neurons, which they can use to study what goes wrong in nerve cells in ALS. Eventually Maniatis hopes that his research will lead to the discovery of drugs to treat neuromuscular disorders such as ALS. To aid in that cause, he chairs an advisory committee (the ALS Association Lou Gehrig Challenge Initiative at www.alsa.org) that initiates and funds new research directed towards understanding and curing ALS. He also cofounded Acceleron, a new company directed towards the development of drugs for the treatment of diseases of nerves, muscle, and bone.